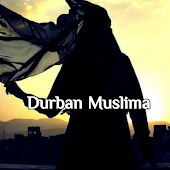 Durban Muslima: Surahs to be recited at night. Sayyidina Jaabir (R. A) says Rasulullah (S. A. W.) would not sleep until he would read Surah Sajdah and Tabarak. "The person who reads Surah Tabarak and Surah Sajdah between Magrib and Esha, the reward will be as though he had stood awake during the night of Laylatul Qadr. The promise of Allaah to the regular reciter of this Surah is that he will be saved from the punishment of the grave. Sayyidina Abu Hurairah (R. A) narrated that Surah Mulk will continue interceding on behalf of its reader until the reader is pardoned. Abdullah Bin Masood (R. A) says that I heard Rasulullah (S. A. W) "The person who reads Surah Waaqi'ah every night, poverty will never befall him."